MOTIVATED SELLERS!!! Brick home with 4 LARGE bedrooms and 2.5 baths with 3,511 SQFT located on dead end street for added privacy. Every room has a walk-in closet. Features wood burning fireplace, nice deck, fenced in backyard with in-ground pool for entertaining this summer, sunroom, split bedroom plan, 2 a/c units, 2 hot water heaters, 2 car garage, landscaped yard with sprinkler system and much more! WHAT A BARGAIN! Also has an Allgood Termite bond. 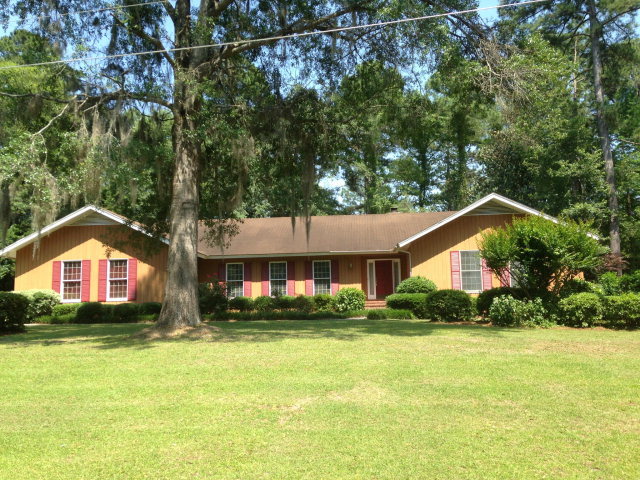 Call Jake today at 912-288-6383 to set up a showing. DIRECTIONS: From the Coral Road/Seminole Trail intersection, turn onto Seminole trail like you're leaving Waycross and make a right turn onto Truman and head towards the back of the dead end street. The home sits on your left on a high and dry lot. You will notice the privacy fence blocking your view of the incredible backyard living area and pool. You will definitely want to make an appointment to see this!